On Friday, “Birtherism” began trending on Twitter. Donald Trump had walked back the claims he'd been making for years that Barack Obama was not a natural-born U.S. citizen. In fact, the GOP candidate went further, denying he'd ever made such claims, and blaming Clinton for starting that line of inquiry in 2008, during her primary campaign. “She was all in,” Trump asserted. The Clinton team—both campaign officials and friendly journalists—rushed in to the defense of the Democratic candidate. Politifact wrote a piece examining the claims. Citing an article from The Telegraph titled “Birther row began with Hillary Clinton supporters,” The Tampa Bay Times' fact checker determined that while questions about Obama's birth location did in fact begin on the Democratic side in 2008, there were no direct ties to Clinton or her campaign. It's an interesting bit of history that the birther movement appears to have begun with Democrats supporting Clinton and opposing Obama. But Trump, and others who have made this claim, neglect to mention that there is no direct tie to Clinton or her 2008 campaign. That was a lie. 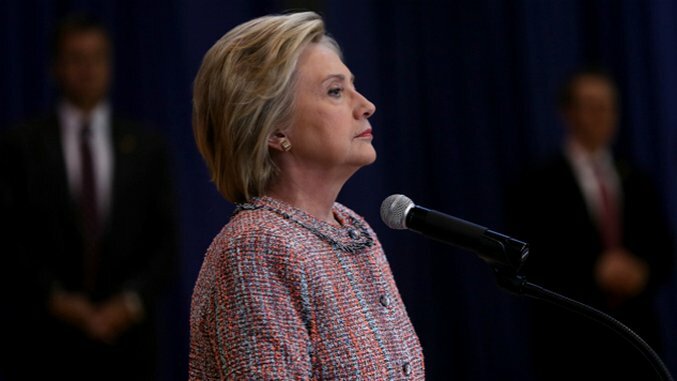 There is no evidence Hillary Clinton and her campaign either started or took part in the efforts to question the location of Barack Obama's birth. Even Michelle Obama got in on the action at a campaign stop in Fairfax, Virginia. On the very day that Senator Clinton is giving a speech about restoring respect for America in the world, her campaign has engaged in the most shameful, offensive fear-mongering we've seen from either party in this election. This is part of a disturbing pattern that led her county chairs to resign in Iowa, her campaign chairman to resign in New Hampshire, and it's exactly the kind of divisive politics that turns away Americans of all parties and diminishes respect for America in the world. 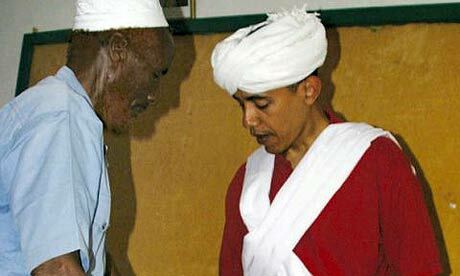 What this whole “birther” controversy comes down to is that while Trump's questioning of Obama's birth certificate and birthplace were disgraceful examples of the long tradition of American racism, and race-baiting in politics, Clinton's innuendos about and narrative of the president's otherness in 2008 make her the perfect pot to Trump's kettle. And that's the biggest problem the veteran Democrat faces in this presidential race: She has almost no lines of attack against Trump that don't leave her vulnerable to the GOP candidate flipping the script. Earlier last week Hillary Clinton tweeted 20 questions to Donald Trump following her dip in the polls, and a story from Newsweek by Kurt Eichenwald, titled, “How the Trump Organization's Foreign Business Ties Could Upend U.S. National Security.” The article and Clinton's questions centered around the GOP candidate's business dealings with foreign nations like Russia. However, here too the attacks carry little weight thanks to what we know of the Clinton Foundation. Clinton, who is seen as the least transparent and least honest candidate running this year— perceptions she has fed and nurtured with her own decisions to withhold information from the public, even when such information is benign—has also gone after Trump for not releasing his tax returns. But these calls for greater transparency are unlikely to convince many voters given that two weeks ago, rather than revealing she had been diagnosed with pneumonia, the former Secretary hid her ailment, and collapsed at the 9/11 Memorial. The problem, of course, is that she was running a primary against a candidate who did not give such speeches. The bottom line here is that Hillary Clinton, given her record, is the worst possible candidate to run against Donald Trump. She is the kind of politician the billionaire businessman and TV star got popular contrasting himself with. And that does not bode well for November for Democrats.